I learned an important thing in Sun Valley– that my ice dance coach Ty was not planning to return to Seattle after the summer season there. Over the last seven years I’ve grown attached to him as a coach and a friend. Besides being an excellent technical coach he has a lot of playful energy on the ice and skates with great elegance. I was unsettled and sad that he’s leaving, but I can’t begrudge him taking on a new opportunity and getting away from the constant, dispiriting Seattle rain. He’s always come and gone to perform in shows and fill in for other coaches. I’ve been lucky to have the patchwork parts of seven years and the chance to take advantage of them. I learned so much from him. Ty did come back and teach for a couple of weeks before moving. We started choreographing a new program, a bronze solo free dance. I’ve only competed in freestyle up to now but I think a free dance will suit me this season. 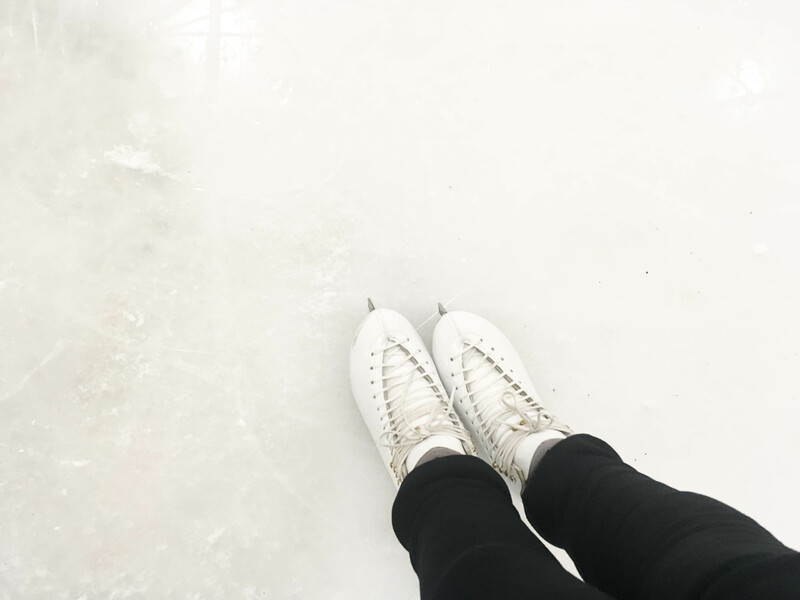 I have dance blades on my new skates and am avoiding the question of jumping for now. I hope to see Ty when I can, but for in-person help Sharon Baker is going to pick up where Ty left off. Sharon is an Olympian and British ice dance champion and the mother of ice dancer Jean-Luc Baker. She was Ty’s coach. She has a sparkle in her eye, a wry smile, and some great tips for me. I think I’ll be OK, though the last seven years of skating would have been so different without Ty. 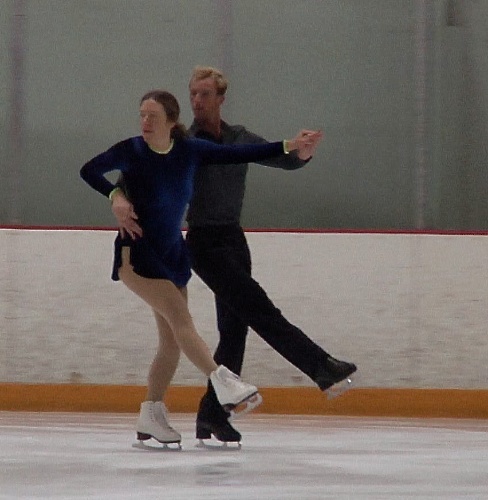 One of the big reasons I’ve learned ice dance was because Ty was such a good coach that I wanted to work with him. And it’s fun to feel the speed and edges with a strong partner skilled enough to smooth out your mistakes. Without Ty there’s no man in my area focusing on teaching partnered dance. Sharon can certainly teach me my pattern dances and her husband is willing to partner through the pre-silvers but not higher. 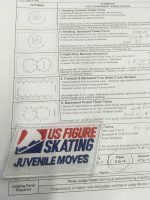 With no partner it’s hard to be motivated on the pattern dances and I’m focusing instead on my new program and my juvenile moves. This week I’m in Detroit. I’ve skated just once, at Detroit Skating Club. In the lobby before and after my session I saw Jean-Luc, and Yuka Sato, and a dedicated young ice dancer who used to take from Sharon and knows me and Ty. I love our little skating world. I hate it when it changes and I hope to nurture all the connections that I can. I wouldn’t have gone to Sun Valley without Ty’s encouragement, so that’s another thing that I have him to thank for. The chance to see him there is one more reason to return. Willow Waltz Bronze Ice Dance Test Testing the Willow Waltz (video) and working on some other skating projects. Valley of the Sun Adult Skating Camp: Passed Juvenile Moves Passed my juvenile moves in the field test at the Valley of the Sun Adult Skating Camp. Sorry about losing Ty. It’s always hard to lose a valued coach. But like you said, you’ll grow from the experience. I hope you will get to see him from time to time. Marcia recently posted..Goals? What Goals? Thanks, Marcia, I hope so too. Change isn’t comfortable but it’s inevitable, so I hope I do find some positive growth in my new skating experiences. Oh goodness – I’m sad to hear that you are losing such a wonderful coach in Ty. I bet you’ve learned a ton from him and will always keep his teachings close to heart. It’s never easy finding a new coach. I hope that Sharon will be able to open your eyes to even more possibilities! I definitely will, Eva. Thanks for the good wishes about moving forward! It’s hard when a favorite coach or mentor moves on, but hopefully it gives you an opportunity to learn from someone new! Enjoy Detroit! Thanks Coco! It’s been a really good visit! Bummer about losing Ty 🙁 It’s such a great thing when you click with a coach, but then such a bummer when you don’t have that support anymore. Wishing you all the best moving forward! Bummer to lose your valued coach, but it’s nice you have so many great memories together. Thanks Kimberly, I do have a lot of great memories. Never easy to lose a coach, especially one you’ve clicked with so well. Wishing you the best of luck as you move forward! Blah. I’ve been there in losing a coach you value. I hope you find someone equally supportive who can push you when you need pushing and values the effort you put in. Thanks Andrea. That was one of the things I valued about Ty, he did push me. Some coaches figure that if you are an adult, not a young skater, you need to take it really easy. It must be so weird and difficult to lose your coach after all these years, but I bet you will love having new eyes to help you improve your form! It sounds like you can relate, thanks. The new eyes, and new ways of explaining things to me, are the upside. I wish you lots of fun and success with your new coach. Changes can be hard but always good to have new opportunities I think. I hate it when I have to change coaches, but I have always learnt and progressed with each new experience. Hope you have a lot of success with your new coach too. Its never easy to see goodbye to those that we’re fond of, especially when we’ve worked so closely and so well with them. Hang onto all of the great memories that you have with Ty. Oh, that is hard, Mary. I know you are being a good sport about this, but it’s hard to lose a good coach. We draw such comfort and support from them, as well as technique! I’m excited to hear about your solo free dance, that is such a great option for those of us who no longer go all out on freestyle. And Baker and Hawayek are one of my favorite dance teams, so it’s nice to hear you are connected to them. I will keep my fingers crossed that you find a way to keep your partnering skills up–who knows who might decide to move to Seattle? It’s a wonderful city. Thanks Jo. I will post about my solo free dance very soon. I am arranging to visit Ty so that will definitely help. I heard about an ice dance man who lives an hour away from me so that’s another possibility, though for now I feel busy with my other skating projects. I do like having my little bit of connection with Jean-Luc by knowing his mom. I love his skating too and like thinking back on the fact that I got to see him skate with his first pairs partner when he was a boy.